Getting paid to share your opinion from your cell phone is the one of the simplest ways to earn extra cash without having to move from wherever you are at that time. 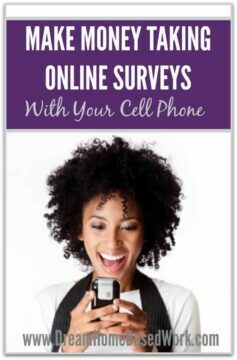 I have gathered several ways you can get paid to take surveys from your cell phone. Most of the recommendations here are from my paid online survey review website, RealOnlineSurveys.com. Which Survey Companies Offer Mobile Surveys? 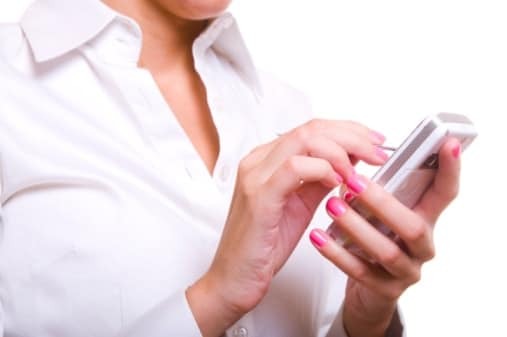 Toluna specializes in mobile surveys. All members will earn cash for participating in online surveys. You will also have the opportunity to enter in monthly sweepstakes for a chance at prizes and cash rewards. Toluna is available at your iPhone app store and Android market. Harris Mobile is an high reputable survey site with a long list of dedicated clients it works with. Members are able to participate in paid surveys ranging anywhere between 5 and 25 minutes to complete.You are able to make a difference, while earning points that are redeemable for store merchandise and gift certificates. Mobrog’s entire approach is making paid surveys user friendly by making them available on smartphones. When you register on their site, you will find the available paid surveys by identifying the ones with dollar sign icons. You will also see how many people completed surveys, and how many spots are still available. For example, 800/1000 means 800 people completed the survey, and Mobrog still has 200 spots open. This will help you decide if it's worth your time to participate in the survey. Mobrog typically pays around $0.50 to $3 per survey. This smartphone app is available for iPhones, Android users, and Blackberry devices. When it comes to your mobile phone, paid surveys are king. This is simply an easy way for earning money “on the go”. Keep in mind, these are just ways to make extra income. This by far will not replace a job , nor be a reliable source of income. However, I do recommend signing up with all companies listed to give an extra boost to your income. why am I the only one here? Hi! You are not the only one here. How can I help you?